I try to visit national parks when I go on vacation. I have my national parks stamp book that I am filling up as I go! 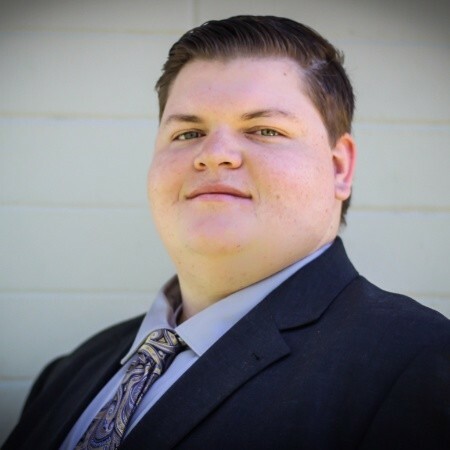 Shawn Granger – IT manager from West Covina. He has a very philosophical outlook on city government aside from just IT. I have learned a lot from working with him and I believe that the GovLove Community could benefit from his knowledge. As a Californian, I have never been to the east coast, so I am excited to see the east coast in general. That being said, I am extending my trip and I do plan to take a trip up to DC. I would like to make strong network connections. I would like to relocate out of California, so I would like to meet leaders from outside of California. I have two… Shawn Granger, IT Manager at West Covina and Ruben Delgado, HR Manager and professor at Cal Poly Pomona. Currently, I am working on the benefits of Dual Language immersion programs. This is my research project for my Masters of Public Administration. Trophy Kids! I am not a believer in “everyone being a winner” and I believe kids need to grow up understanding that not everyone wins. I believe this ideology has caused a large number of problems in my college classes where students are beginning to blame the professor for their bad grades and are not able to take responsibility for their own actions in school. Furthermore, music students have been suing music teachers for not admitting them to music programs. I believe this will cause problems in future workplaces.